They’re the uninvited guest at your BBQ, they follow you on serene walks through the woods, and just one of them in your room at night can ruin your sleep. They’re mosquitoes, and they’re a problem. There’s no doubt that you’ve dealt with these pests once or twice in your life, but how much do you know about them? Below are some facts on everyone’s least favorite bottom feeder. Mosquitoes have been around a very, very long time. They date back to the Triassic Period– that’s over 400 million years ago. Only female mosquitoes can bite humans, and a mosquito bite flares up as an allergic reaction to the bug’s saliva. Full moons don’t just bring out werewolves– mosquito bites are shown to increase 500% during the moon’s waxing gibbous phase. How’s that for a scary story? There are over 3,500 species of mosquitoes, but less than 200 feed on human skin. Mosquitoes are the deadliest animal on earth. They carry harmful diseases– West Nile, Zika, Yellow Fever– and they can spread them quickly. It’s hard to find anything good to say about these pesky bugs, but it’s easy to find ways to control them at your home. Professional mosquito control is a spectacular option to protect your home from mosquitoes. 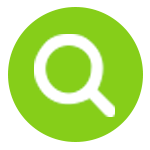 Heron Lawn and Pest Control is widely considered to be the best solution for the job. 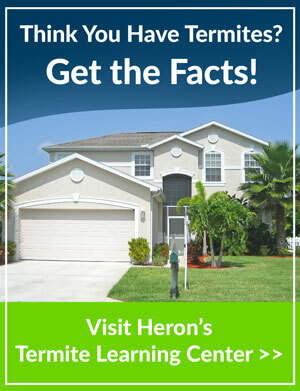 The professionals at Heron are members of The Florida Mosquito Control Association and highly trained in pest control. They begin by identifying breeding sites and working with you to create a plan to control the pests. Call Heron today at 877.772.0826 to have a technician visit your home.